You can enable or disable click tracking on your sequence configuration page when creating a new sequence or editing an existing sequence. You can also enable or disable click tracking for all new sequences you create by default by visiting your settings page (https://www.gem.com/settings). In order to track whether candidates clicked on links and enable click rate metrics, we have to shorten links. So if you link to a URL like https://company.com/fundraise, we will keep the link text but will rewrite that URL to something like https://zen.sr/nwgvweguwb (visible on mouseover to the candidate). 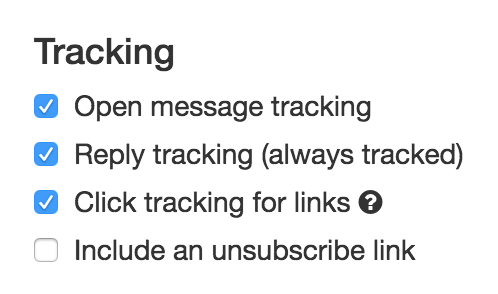 It's up to you as to when you want to use link tracking. As a best practice, we recommend turning it on, with the exception of a few roles that tend to care more about privacy (e.g. security engineers). Need help with click tracking in Gem? Feel free to reach out to the Gem team by emailing us directly at support@gem.com or press "Chat with Us" in the Gem home page.